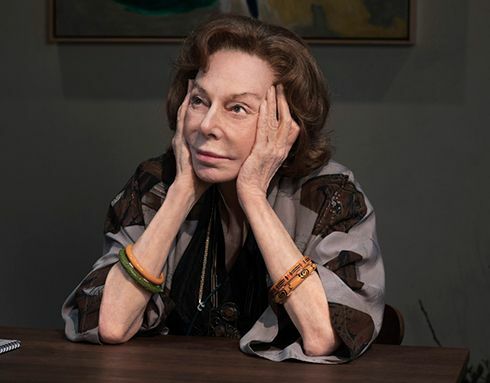 Elaine May’s performance in her return to Broadway is “both one of the most beautiful things you’ll ever see in a Broadway theater, and one of the most profoundly sad,” said Chris Jones in the Chicago Tribune. The role generates the sadness: The 86-year-old writer and improv legend plays a garrulous New York City gallery owner whose mental capacities are quickly deteriorating. But her Gladys Green doesn’t lose her zest for life as she loses her ability to be a pillar of her community and the lifeblood of her family. May, who hadn’t previously opened a show on a Broadway stage since she and Mike Nichols were a team, remains a performer intensely attuned to her scene partners: “She absorbs the energy of other actors like she’s getting a blood transfusion live on stage.” Here, that makes Gladys vulnerable to the growing frustration she causes her daughter (Joan Allen), son-in-law (David Cromer), and grandson (Lucas Hedges).